The American Red Cross – Rock River Chapter Disaster Action Team responded early Tuesday Morning to a fire on Kenmore in Rockford. Red Cross provided assistance to a family of four for food, clothing, and temporary shelter. On December 15, 2008 the Cosmo Queens threw a Holiday Party for our homeless residents at our Emergency Overnight Shelter. Go to cosmoqueens.com to find out more about their organization. Thanks Cosmo Queens for all that you do! They’re wonderful volunteers at our shelter!! Santa even made a stop by for the kids! 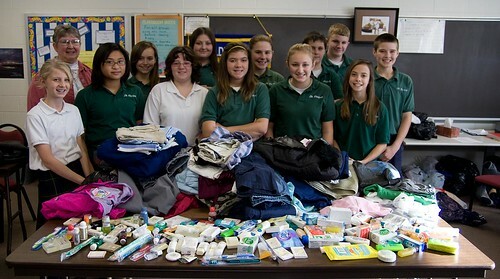 We’d like to thank St. Bridget’s for their generous donation to our Emergency Overnight Shelter! 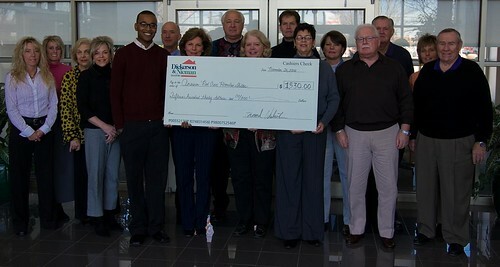 Dickerson & Nieman Realtors presented the Red Cross – Rock River Chapter with a check this morning for $1,530 to go toward our Emergency Overnight Shelter. What a great way to start Thanksgiving early. 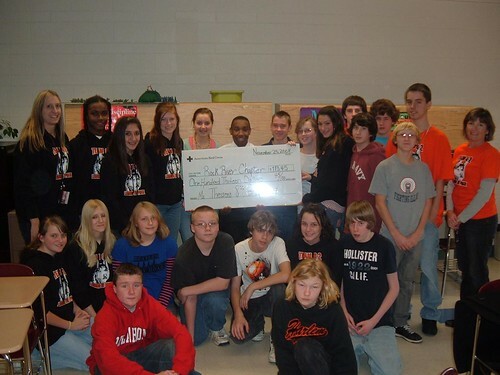 Harlem Middle School students raised $113.45 for American Red Cross disaster relief. Thank Harlem! 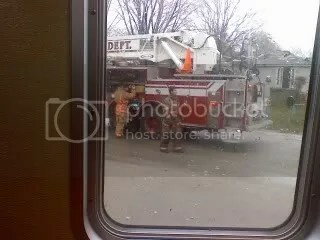 The above is a view from the ERV of the fire department respond along with Red Cross to a single family house fire on Chesterfield Ave in Rockford, Illinois. The Red Cross provided the family of 9 with assistance. Single family house fires is the most common disaster we respond. On average we respond to 8-10 fires per month. If you’d like to get involved at the Red Cross please go to our chapter website or you can find your local chapter at redcross.org. 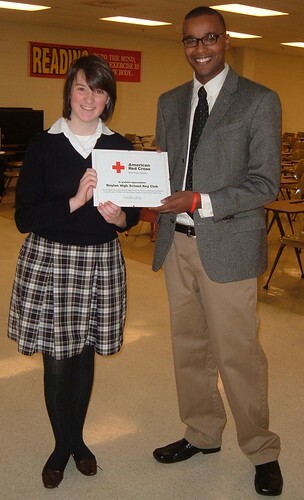 The Boylan High School Key Club donated $1,000 to the American Red Cross – Rock River Chapter. 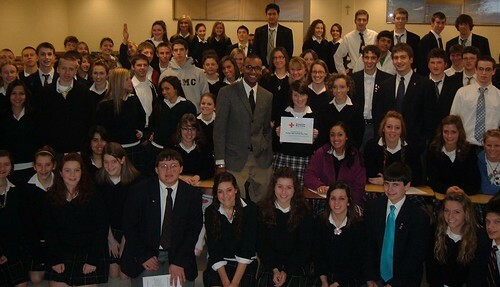 They accomplished this through a variety of fundraisers including bake sales, raffles, 50/50, and others.